There is no better way to say 'Thanks a munch' than The Ovation Box at the next special occasion! 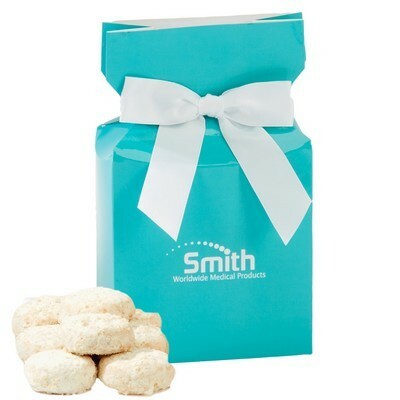 Send our rich-colored treat boxes as appreciation gifts to your clients or use them for brand promotion. Each of your recipients will receive a box filled generously with delicious almond tea cookies. 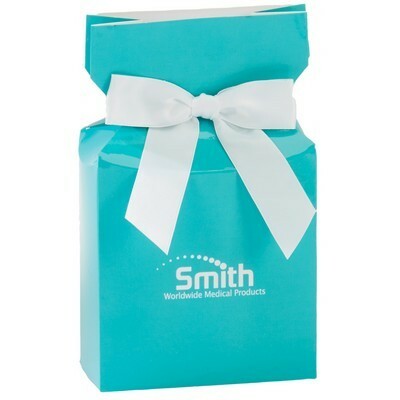 This gift product features an attractive box customized with your brand logo and tied with a beautiful bow. You can choose from various ribbon colors available and use this personalized gift to increase your brand visibility while delighting your customers this holiday season.